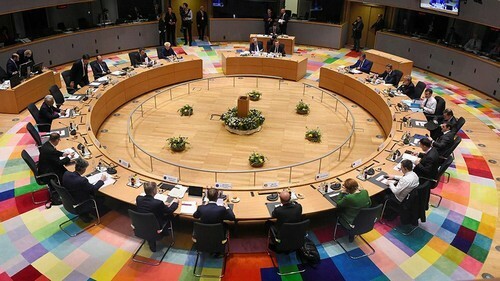 European Union member states agreed at a summit in Brussels to take further punitive steps against Russia in the coming days for the nerve agent attack in Salisbury, as Moscow accused the bloc of joining a London-driven hate campaign against it. Late on Thursday, in a boost for British Prime Minister Theresa May, the 28-member EU collectively condemned the attack on a former Russian spy and said it was “highly likely” Moscow was responsible. They also recalled the EU ambassador to Russia. French President Emmanuel Macron said Paris and Berlin would be among countries taking further rapid and coordinated measures which other leaders said would include the expulsion of Russian officials and possible other retaliatory actions. “We consider this attack a serious challenge to our security and European sovereignty so it calls for a coordinated and determined response from the European Union and its member states,” Macron told a news conference. One senior official familiar with discussions said the extent of measures in the coming weeks could be “surprising” and not confined to expulsions. There is no talk of more economic sanctions, whose enforcement has divided the EU in the past. Czech Prime Minister Andrej Babis said he was likely to announce the expulsion of several people on Monday, after returning to Prague and consulting with his foreign minister. Romanian President Klaus Iohannis stressed that national governments wanted to retain control of the details in an area where they guard their sovereignty from Brussels. But most of those present would go home and prepare suitable steps. 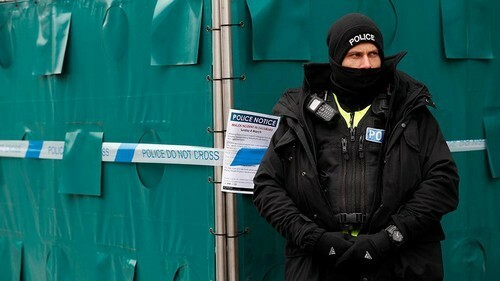 Russia has denied responsibility for the March 4 attack on former Russian spy Sergei Skripal and his daughter, the first known offensive use of a nerve toxin in Europe since World War Two. A British judge said on Thursday that both victims may have suffered brain damage from the attack. Moscow retaliated against May’s move to expel 23 Russians by announcing the expulsion of the same number of Britons. On Friday, the Russian foreign ministry described the EU accusation as “baseless” and accused the bloc of spurning cooperation with Moscow and joining “another anti-Russian campaign deployed by London and its allies overseas with an obvious goal: to put another obstacle on the path to the normalisation of the situation on the European continent”. In Moscow, the expulsion of British diplomats went ahead, a convoy of minibuses speeding out of the embassy compound to applause after British embassy staff said their goodbyes in the courtyard under a light snowfall. 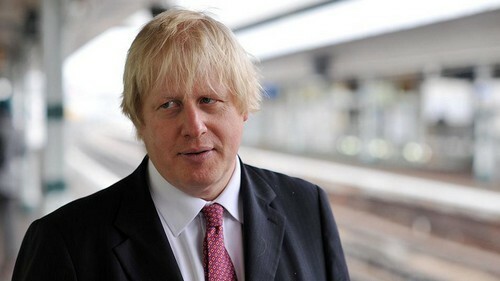 A special charter flight is expected to fly the diplomats back to Britain later on Friday. The summit statement hardened previous EU language on Russia’s alleged role as French President Emmanuel Macron and others helped May overcome hesitation on the part of some of Moscow’s friendlier states, some of whom questioned how definitive Britain’s evidence is. “What we will now consider in the coming days is whether we want to take individual action relating to Russian diplomats in Ireland,” Irish Prime Minister Leo Varadkar told reporters. Still, some said they could ill afford Russian retaliation against their own Moscow embassies, some of which employ barely a handful of accredited diplomats. Austria said it did not plan to expel Russians.